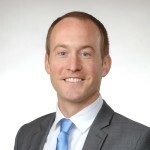 Gavin Ferlic, JD/MBA, was born and raised in South Bend, Indiana, and is recognized as one of the city’s most promising and dedicated young leaders. He serves as an At-Large representative on the South Bend Common Council, a position he has held for the last fours years and for which he is running for reelection in 2015. He also currently works as the Vice-President of Corporate Affairs at Burkhart Advertising, Inc. where he manages the company’s Legal, Real Estate, and Human Resources Departments. Ferlic received his bachelor’s degree from the University of Notre Dame in 2004. In May 2010, he was awarded an MBA from Indiana University’s Kelley School of business and a JD from Indiana University’s Maurer School of Law, with a special concentration in Entrepreneurship and Business Law. As an undergraduate at the University of Notre Dame, he served as president of the Student-Athlete Advisory committee and captain of the golf team. Following graduation, he played professional golf for two years on various professional tours, including a the Canadian PGA tour and the NGA Tour. Ferlic than joined the marketing team at the South Bend Silver Hawks in 2006, where he worked as an account executive and helped to increase game attendance and facility rental for private events. Looking to build upon his experience in business, Ferlic enrolled at Indiana University to pursue a JD/MBA in 2007 and graduated in just 3 years, the second person ever to do so in the program’s history. Following graduation, Ferlic started a successful consulting business where he assisted businesses and organizations with strategic planning services. As an active member of the South Bend Community, Ferlic volunteers his time with various organizations, serving as a big brother with Big Brothers Big Sisters of St. Joseph County, a mentor with the South Bend Community School Corporation’s Mentor Program, and a committee member and volunteer with Young Professionals Against Poverty’s Center of the Homeless Youth Gym Program. He was awarded Big Brother of the Year in St. Joseph County and has been recognized as one of Michiana’s Forty under 40 by the St. Joseph County Chamber of Commerce. He is currently licensed to practice law in the State of Indiana.